So this is the same SDLP party that went in to partnership with FF last month? the hustings. if they cant shift the Shinners they are all done for. And Durkan isn’t the first senior SDLPer to show his displeasure at the tie-up with the no-ballers. A slew of SDLPers including the putative future leader Claire Hanna have stepped down from office. What for the no ballers now? They committed five years ago to the modest ambition of standing candidates in the North’s elections in 2019. And yet they threw the book at Eamon O’Cuiv and Mark Daly when they tried to launch a candidate three months ago. No ballers. And “the Republican party tag” must surely contravene some advertising code. 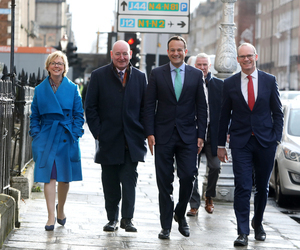 So, in Dublin, FG can’t find a local candidate to contest the Euro Elections. Instead, they go for a Northern Ireland candidate, a son of a RUC District Inspector, a former Social Democrat and Labour member. And in the process they’ve made an idiot of FF, which was probably their intention. 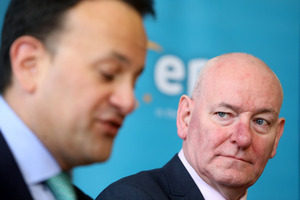 Why would they look for some local candidate when they can parachute in a hugely-experienced candidate whose name is already well-known across the island of Ireland and, indeed, stick one in the eye of their main rivals? Clever politicking from Leo, as per usual. What the fupp has the job of his father, his father who has been dead for almost 60 years, got to do with anything?? Are there no highly experienced politicians south of the border then? Or better known? Why did the reference to being the son of a RUC District Officer rattle your cage? It’s him running for election, not his (dead for six decades) father. You seem to be suggesting that his long-dead father’s career choice would have some bearing on Mark Durkan’s ability to be a good (or bad) elected representative, and this is the not the case. Your last sentence – my father is no longer with us but he is still, it seems, a lot more intelligent than yourself. Looks like you omitted to give your thoughts on the non-availability of well known, experienced politicians south of the Border. Yes, and does a job that your late father had decades’ ago have any impact on how you carry out your job, or shape your worldview significantly? Have a think about that, and then cop yourself on from this ‘sins of the father’ bullpoop while you’re at it. 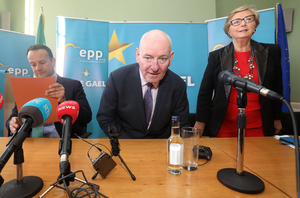 FG’s selection procedures is the business of the FG membership; though I imagine if Mark Durkan were to approach any party in Ireland looking to run down here, probably every party, except for SF and possibly the Trots, would be willing to put him on the ticket on name recognition alone. Are there no highly experienced politicians south of the border then? your daily rants here about the, ahem, quality of current politicians would suggest this is a No. But but but…… The two Simons, Leo, Yoghan…surely you’re not agreeing with me on their capabilities. HQ won’t like that. Are you suggesting that Durkan is outstanding or something? They really need to remove the ‘L’ in SDLP. Very disappointing few weeks from that political party. They are no fun at all, so they should remove the P.
I take it that you’ll be taking the P as usual then?